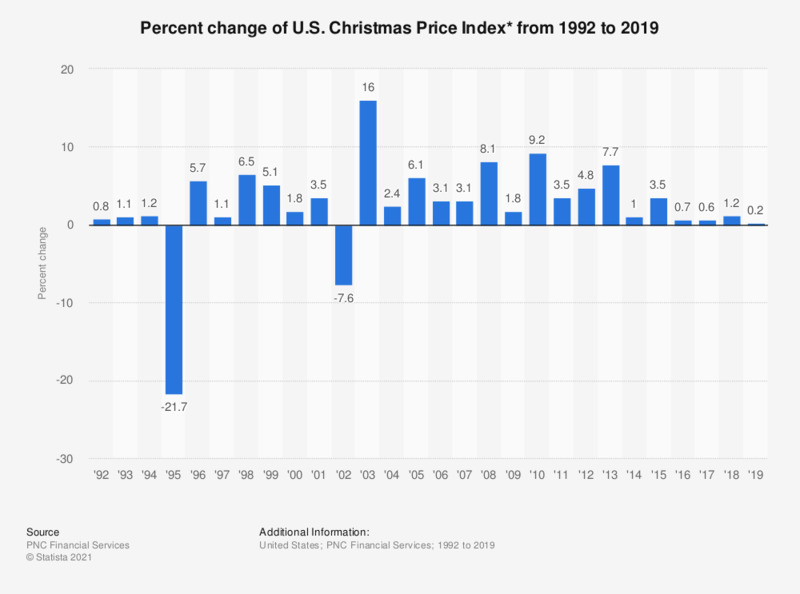 This statistic represents the percent change of the PNC Christmas Price Index from 1992 to 2018. According to the source, the index reflects the current cost for one set of each of the gifts given in the song "The Twelve Days of Christmas". With a decrease of 21.7 percent over previous year, 1995 saw the greatest decline in cost for these gifts. The cost for the seven swans-a-swimming - the most expensive item in the index - was at 13,125 U.S. dollars in 2018. * According to the source, the PNC Christmas Price Index reflects the current cost for one set of each of the gifts given in the song "The Twelve Days of Christmas."